For those that have closely followed David Hernandez’s journey since his American Idol season seven stint, they probably know a good chunk of his story. 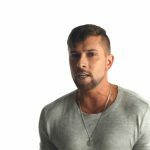 He’s been a frequent performer at some of the biggest Pride festivals across the country and has been a musical ambassador at plenty of Human Rights Campaign dinners. He recently stripped down to his skivvies for charity in the production of Broadway Bares San Francisco: Tech Tails, briefly becoming a cheeky nod to his tabloid days at American Idol when the public learned that he was formerly a male stripper. 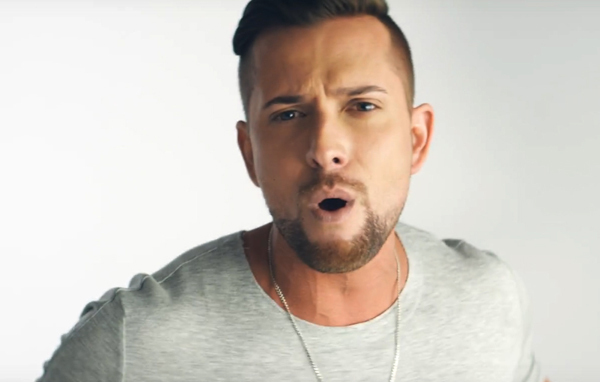 But his new song, “Beautiful,” comes packaged with his coming out story as an out and proud gay man. It’s his official coming out party, and one that also comes with a beautiful message of self-love and inspiration that is universal. 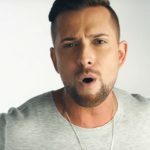 In his interview with Out Magazine, Hernandez talked about the impact of the song’s message on his own life, especially as he announces his sexuality to the masses. “That’s why this song resonates with me. The lyrics are just so powerful. This is who I am, take it or leave it,” he says. Produced by Mark Grilliot and co-written by Adrian Newman, Stephen Werner and Ryan Stewart, the song plays like a bubbly synthpop jam dressed with a Black Eyed Peas gloss. But the music video probably tells his story best. Inside, a number of couples and individuals celebrate their authenticity. They come from various backgrounds, including a deaf man, a gay couple, an interracial couple, people of color, people from various religious backgrounds and an amputee. In a time when body-shaming, racism and homophobia is running rampant, it’s comforting to know someone is putting out warm music with a touching message. The song may also be the biggest hit of his singing career. In just twenty-four hours of being online, the video has already received over 12,700 views on Youtube. The single is available for purchase on iTunes. View the video below to the single below.